Robert "Bob" W. Henderling was born on September 23, 1930 to Albert and Grace (Watkins) Henderling. He was the third child of four. Bob attended Forest Grove High School and graduated in 1948. On March 20, 1955, Bob married Geneva Smith in Coos County, Oregon. The couple moved to Medford, Oregon and welcomed daughter Denise in 1956. Their marriage ended and Bob moved back to the Portland area. On February 1, 1958, Bob married Frances Louise Parkins in Vancouver, Clark County, Washington. The couple soon added six children to their family. The couple lived in various cities around Portland: Tigard, Aloha, Hillsboro before moving across the Columbia River and making their home in Vancouver, Washington. Bob enjoyed spending time with his children and grandchildren fishing and camping. In 2012, just seven days after celebrating their 54th wedding anniversary, Bob's wife Louise passed away. On May 13, 2016, Bob passed away. Frances Louise Parkins was born on July 9, 1939 in Hillsboro, Oregon to Frances Catherine (Huff) and Clifford Gregory Leroy Parkins. She was the third of five children. When she was five years old, her parents divorced and her mother married Melvin Edward Nelson. On February 1, 1958 she married Robert "Bob" W. Henderling in Vancouver, Clark County, Washington. Over the next ten years the couple would add six children to their family. 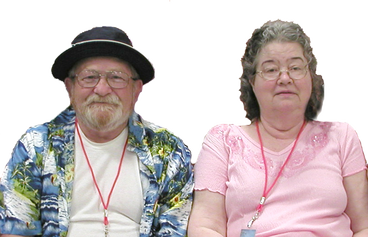 Frances and Bob moved around the Portland Metro Area until finally making their home in Vancouver, Washington. Frances loved gardening and canned the fruits and vegetables she grew. She enjoyed playing bingo and bowling but most of all, she loved spending time with her family. On February 8, 2012, after enduring many health problems, Frances lost her battle and passed away.